The granulate is composed of cork fragments obtained by grinding or milling the prepared or manufactured cork / transformed by carving, and sorted by grain size and density. Its production is intended for the manufacture of agglomerated corks. The sticks of agglomerated cork are used in the manufacture of cork stoppers, in which the stopper body is an agglomerate. The micro sticks of agglomerated cork are used in the manufacture of cork stoppers, in which the stopper body is an micro agglomerate. 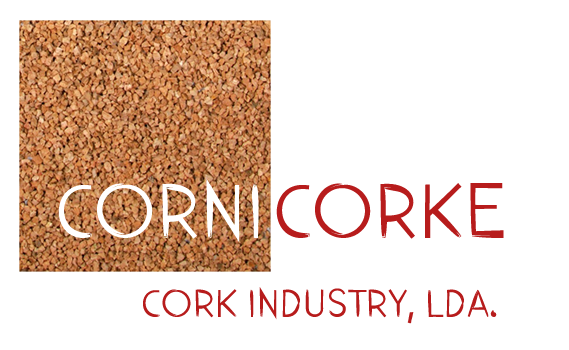 Cork stoppers are made from properly selected cork granules using food grade adhesive. These stoppers are an economical option, however should not be used in wine with a bottle for a period of more than 2 years. We provide agglomerated cork stoppers within the standard gauges, as well as any other caliber specified by the customer. Cork stoppers are made from selected cork granules using food grade adhesive. We provide micro stoppers within the standard gauges, as well as any other caliber specified by the customer. The technical stoppers are formed by a body of cork agglomerate, in which are glued cork disks in both ends. This solution allows to improve the performance of cork stoppers made compared with the only agglomerate. The price of stoppers is in accordance with the quality of the discs. We provide technical corks within the standard gauges, as well as any other caliber specified by the customer. It is a 100% natural cork obtained directly from the cork puncturing. We provide all the standard gauges, as well as any other gauge on request. The price of stoppers is in accordance with their visual qualities. Filled cork stoppers Natural cork stoppers are usually lower visual class subjected to the sealing operation, which is applied on the corks a mixture of adhesive and cork powder to fill the pores of the stopper, improving its visual appearance and its sealable capacity. The sealed stoppers are further subjected to surface coating operation to homogenize the visual aspect and improve the bottleneck performance. We provide filled cork stoppers within the standard gauges, as well as any other caliber specified by the customer. © 2016 All rights reserveds.